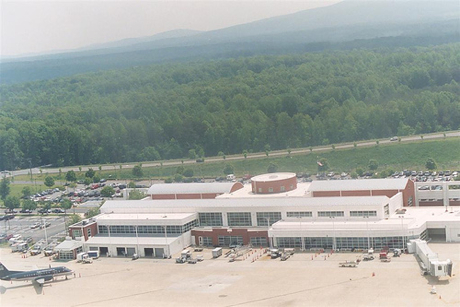 The Charlottesville/Albemarle airport might be expanding. There are currently 5 gates, and it is an extraordinarily convenient airport when everything works. However, more often than not, things don’t work. Pickering said he believes people who fly out of Charlottesville are more willing to pay for convenience rather than driving to Richmond or Washington Dulles. The Charlottesville-Albemarle Airport offers nonstop flights to Charlotte, N.C., Philadelphia, New York LaGuardia, Washington Dulles, Detroit, Cincinnati and Atlanta. The report said the airport might also be able to offer flights to Chicago O’Hare, Dallas-Fort Worth, Newark, N.J., and Orlando, Fla., although Pickering said restrictions on the number of flights to and from the airports and the length of the runway needed for takeoff may present a problem. When it works, it’s beautiful. For now, whenever I fly, I tend to drive to Richmond; it’s less than 90 minutes away, and if my flight gets cancelled, there is almost always another one. With Charlottesville, it’s frequently stay-the-night roulette. Proximity to a reliable airport is more and more common, particularly with the National Grounds Intelligence Center and the telecommuters who live in the Charlottesville area. CHO would do well to shore up the service it currently has rather than to focus on grandiose and unrealistic plans. (I fly between 75,000 and 100,000 miles a year, with departures scattered among IAD, RIC and CHO.) With $90/barrel oil forcing airline cutbacks and mergers, airlines are simply not looking to add service to small cities like Charlottesville. In fact, they are looking to consolidate it. I would be very surprised with the M&A talk going around in the industry if CHO has the same amount of seats flying in and out each day 12 months from now as it currently does. This airport authority has shown precious little foresight when it comes to its marketing efforts as it is. Remember the recent ad campaign promoting the comfort of travel through CHO relative to the “low-cost” service in RIC and Dulles? Makes you wonder if anyone in the airport’s administration had ever flown on one of the commercial flights departing from CHO. Let’s see, the luxury and comfort of a circa-1981 Piedmont Dash 8 turboprop vs., say, a brand-new JetBlue Embraer 190 in Richmond with TVs at every seat for 1/2 of the price. After flying to Chicago once every 30 or 45 days and having problems about 70% of the time, I have chosen to forgo CHO for the reliability, ease and competitive pricing of Richmond. I might be willing to pay for convenience, but getting stuck in Cincinnati, delayed in Charlotte, missing a plane at Dulles, all due to Charlottesville, aren’t worth it. I’ll drive, thank you.